More information about the Keep Calm and Carry On 2013 Planner. Keep Calm and Carry On Planner: Keep calm and stay organized with the Keep Calm and Carry On 2013 Planner. 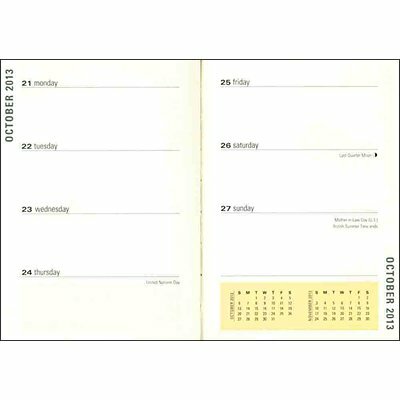 Simple yet stylish on the outside and functional on the inside, this 16-month planner runs from September 2012 to December 2013 in a weekly planner format and features a hard cover with the popular phrase "Keep Calm and Carry On" that pops against red background. The planner also includes an elastic band place holder, room for notes and addresses, and an inside back cover pocket for receipts, coupons, business cards, and other notes. UPC: 9781441307873 EAN: 9781441307873"